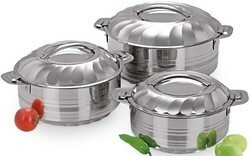 We are offering Stainless Steel Hot Pot. Owing to the expertise of our team of experienced professionals, we are able to manufacture and supply an exclusive range of Casserole with Handel. Owing to the expertise of our team of experienced professionals, we are able to manufacture and supply an exclusive range of Belly Shape SS Casserole. Owing to the expertise of our team of experienced professionals, we are able to manufacture and supply an exclusive range of Casserole Straight Shape. Owing to the expertise of our team of experienced professionals, we are able to manufacture and supply an exclusive range of Hot Pot Diamond Set. 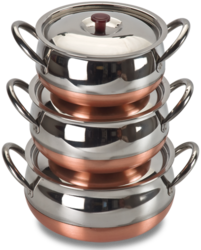 Owing to the expertise of our team of experienced professionals, we are able to manufacture and supply an exclusive range of SS Chapati Pot. Owing to the expertise of our team of experienced professionals, we are able to manufacture and supply an exclusive range of SS Hot Pot. Owing to the expertise of our team of experienced professionals, we are able to manufacture and supply an exclusive range of SS Hot Pot Plain. Owing to the expertise of our team of experienced professionals, we are able to manufacture and supply an exclusive range of Steel Tawa. Backed by sound infrastructure, we are able to provide patrons with superior quality Sagdan (Chomukhi) Serving Bowls. 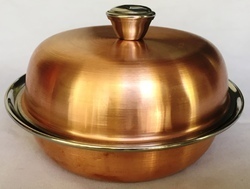 Backed by sound infrastructure, we are able to provide patrons with superior quality Round Curry Dish with Copper Plating. 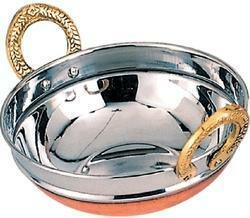 Backed by sound infrastructure, we are able to provide patrons with superior quality Copper Plating Kadai. 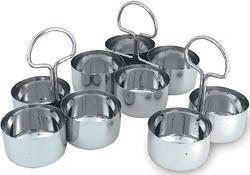 Backed by sound infrastructure, we are able to provide patrons with superior quality Pickle Pot. Backed by sound infrastructure, we are able to provide patrons with superior quality Royal Ice Cup. 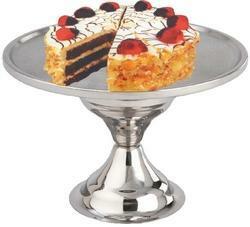 Backed by sound infrastructure, we are able to provide patrons with superior quality Cake Stand. Owing to the expertise of our team of experienced professionals, we are able to manufacture and supply an exclusive range of Butter Dish. Owing to the expertise of our team of experienced professionals, we are able to manufacture and supply an exclusive range of Serving Bowl Dish with Lid. 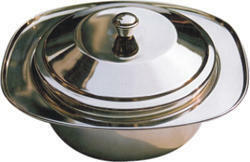 Backed by sound infrastructure, we are able to provide patrons with superior quality Oval Serving Dish. Symbolic to all the success that we have acquired in the industry, remains our status as prominent manufacturer, exporter & wholesaler & supplier of a precision-designed range of Handi Belly Shape Set/3 With Copper Bottom. Our offered cutter is widely appreciated by our prestigious clients for its precise design and durability. The offered cutter can also be availed in diverse sizes, designs and other related specifications. Our provided cutter is manufactured by a team of our adept professionals utilizing quality approved steel and advanced technology. 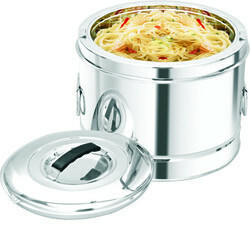 Our precious clients can avail this cutter from us at market leading prices. 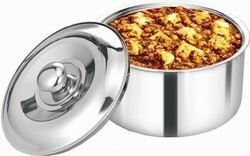 In tunes with advanced market development, we are offering a wide range of Steel Serving Dish. 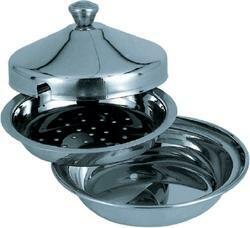 The offered bowl is meticulously tested on diverse quality parameters and is widely demanded in diverse industries. 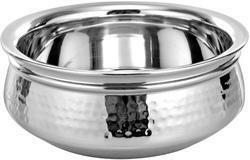 The provided bowl is manufactured by utilizing quality assured steel and the latest technology at our manufacturing unit. In line with international standard we provide the entire range in diverse customized options and at affordable prices. Backed by sound infrastructure, we are able to provide patrons with superior quality Stainless Steel Hammered Handi Dishes. 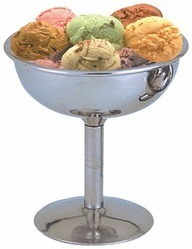 Backed by sound infrastructure, we are able to provide patrons with superior quality Stainless Steel Ice Cream Bowl. 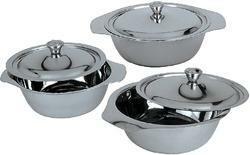 Looking for Serving Dishes ?